Recast.AI is now officially known as SAP Conversational AI! Become the ultimate intelligent enterprise by building powerful conversational agents in a heartbeat. Leverage the power of our highly performing NLP technology capable of building human-like AI chatbots in any language. 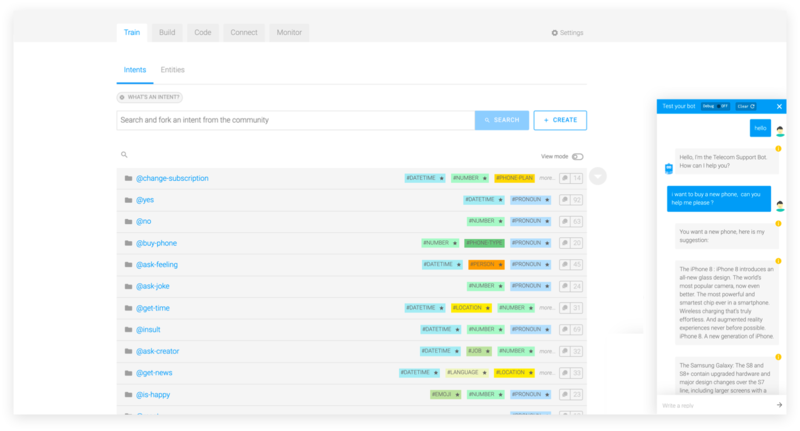 Simple UX, collaboration, organizational accounts, versioning and environments: we’ve made a bot platform all teams can smoothly use. Through an efficient bot building process and a full integration to the SAP software suite, you can launch your bot in days. Discover what our customers have achieved! 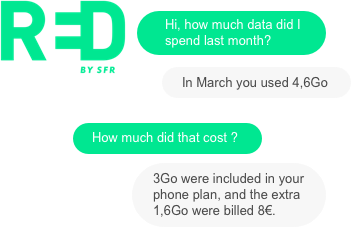 With a customer support chatbot capable of understand any customer request, SFR has managed to automate 25% of all demands in weeks. 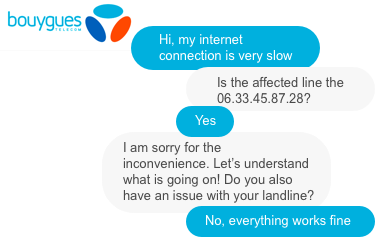 Bouygues Telecom is a leading telecom corporation in France. They needed to find a way to treat the increasing number of customer requests while improving customer experience. One of the solutions was to integrate a chatbot on their webpage and the mobile app to manage simple issues on internet and mobile subscriptions! 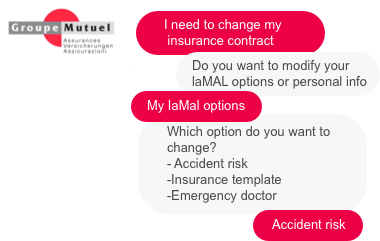 Groupe Mutuel now brilliantly manages their heavy traffic rushes with a chatbot in charge of modifying, cancelling, or suspending insurance contracts. Developers have built more than 100,000 bots on our collaborative platform. Leverage proprietary natural language processing (NLP) technology to analyze text inputs and enrich key data for a rapid and straight-forward deployment. Draw on a comprehensive suite of tools to train, build, connect and monitor chatbots. Understand your users through powerful analytics dashboard and perfect your training dataset through integrated analytics and benchmark tools. Interact with customers with the same level of accuracy in multiple languages. A trilingual bot can easily switch between languages during a conversation. Connect your chatbot to any external communication channel, any SAP product or any back-end system easily. Deploy voice-activated chatbots for Google Home, Alexa and Cortana, in addition to text-activated bots. Get started with our NLP API. Transform your customer service today.